Use the Schuh Customer Feedback Survey to inform the company about the details of your experience shopping with them. The footwear specialist is more than happy to hear from its buyers. The feedback form is extremely short. It is only a page long with very few questions. You should be able to finish it within a few minutes without breaking a sweat. You can find the link to the page below. This footwear retailer from the UK has over a hundred stores all over the country manned by more than four thousand employees. It was founded in 1981 with headquarters in Livingston, Scotland. They stock the biggest brands on the market and cater to the younger crowd. The business was acquired by US footwear giant Genesco in 2011. Aside from shoes, the parent company also sell sports apparel, headwear and accessories. “Schuh” was chosen because it is the German word for shoe. The original name is actually Lizard. 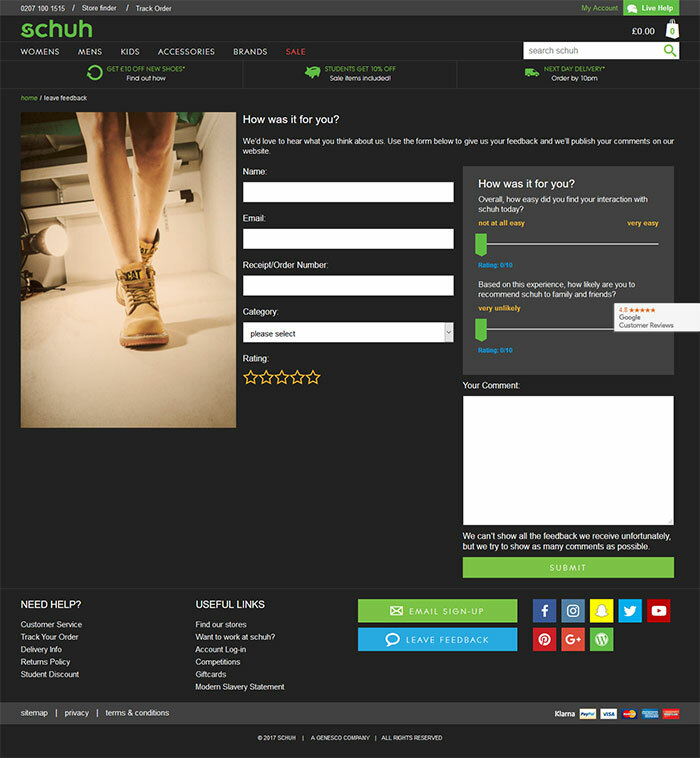 Go to the survey page at www.schuh.co.uk/feedback. Unlike other feedback forms, this does not have a long series of questions that drill down on the basic aspects of a business. You will not need to go through multiple pages just to complete the survey. There is only a single page containing the entire feedback form. The company simply wants to know what you think about the brand and their products after shopping. Fill up the form according to your experience. Note that they may publish your comments on the website at their discretion. 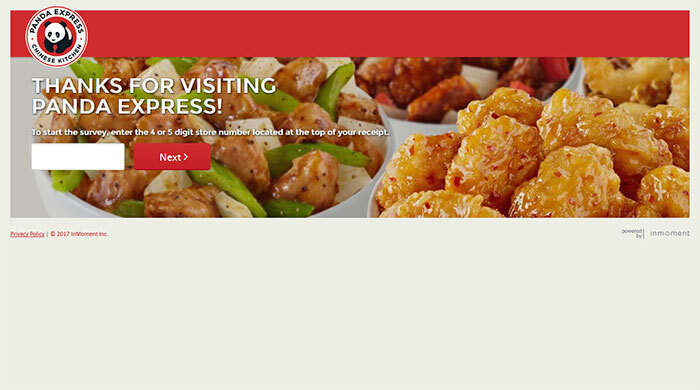 Enter your name, email address, and receipt or order number. Select the store category where you shopped. Is it the website, a Schuh store or a kids store? Provide your overall rating for the experience. You can go as high as 5 stars or as low as half a star. Just click along the figures on the form. Move over to the right side of the screen. They want to know how the experience unfolded for you. On the whole, did you find it easy to interact with Schuh (the staff or the website)? Move the slider along the line between “not at all easy” and “very easy”. Watch the rating score increase or decrease below on a scale of 0 to 10. Do the same when assessing the probability that you’ll recommend the store to your family and friends. Place the slider on the left if this is very unlikely, the right if this is very likely, or somewhere in the middle if that is how you feel. There is also a space for your unrestricted comments. Make the most of the text box by writing everything that’s on your mind regarding the experience with Schuh. Your honest feedback will be appreciated. Press on the green SUBMIT button once you’re done. Schuh is a successful Scottish footwear retailer that caters to kids, teens, and young adults. Use the feedback form to tell them all about your recent shopping experience.